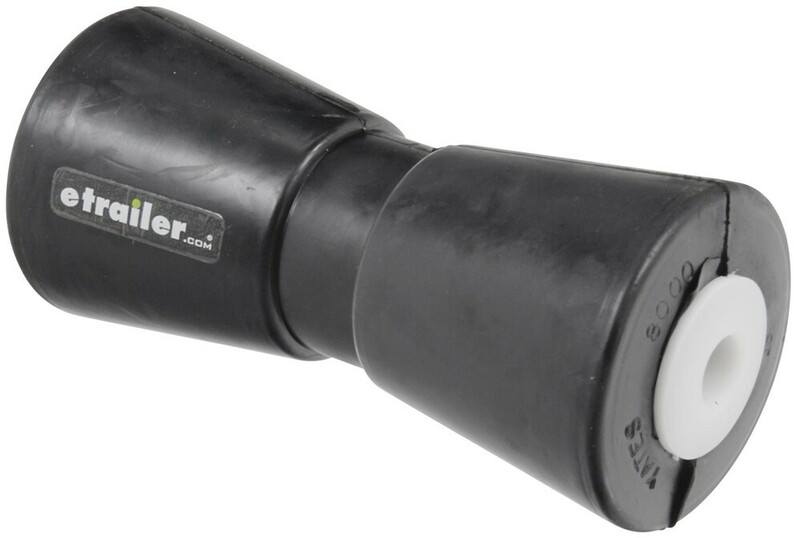 Replace the worn-out roller on your boat trailer with this heavy-duty rubber one. This keel roller functions as a direct replacement for rollers that fit standard 8" wide brackets with a 5/8" diameter shaft. 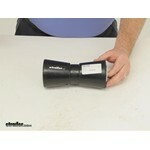 Call 800-298-8924 to order Yates Rubber boat trailer parts part number YR8000 or order online at etrailer.com. Free expert support on all Yates Rubber products. 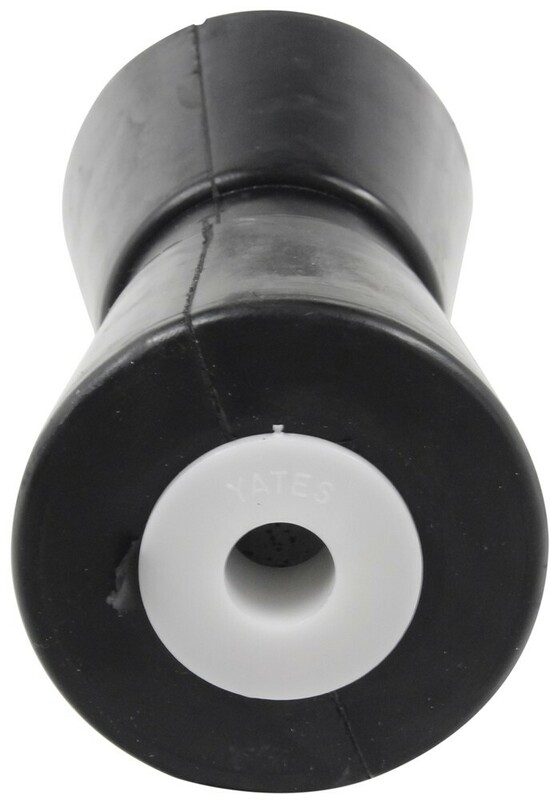 Guaranteed Lowest Price and Fastest Shipping for Yates Keel Roller for Boat Trailers - Heavy-Duty Rubber - 8" Long - 5/8" Shaft. Boat Trailer Parts reviews from real customers. NOCO Battery Tray with Strap - Group 31 Battery - 14" x 8-3/8"
Today we're going to review part number YR80000. This is the Yates Keel Roller. 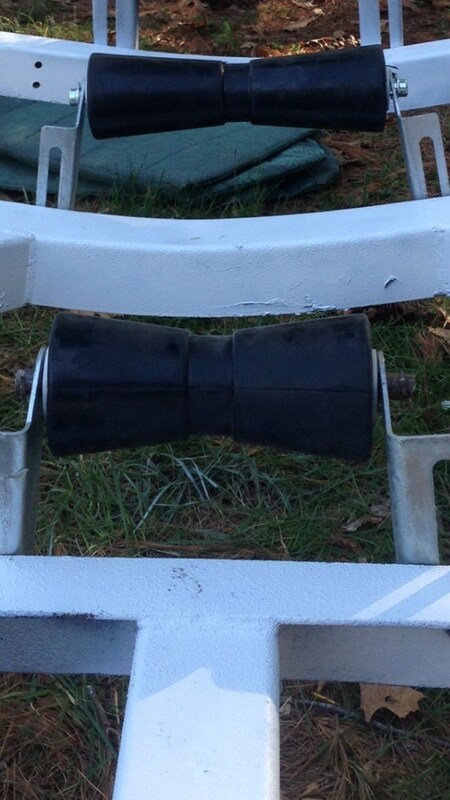 This will replace one of your keel rollers on your boat trailer. This is constructed of a heavy-duty rubber material. This keel roller will ease the loading and unloading of you boat. It will support the bottom of the boat as it sits on the trailer and it will help absorb the road shock while the boat is being towed. We're going to do a few dimensions on this. The width is 7 3/4. The diameter is 3 3/8. And this keel roller is designed to fit on an 8-inch wide bracket with a 5/8-inch diameter shank. And that should do it for part number YR80000. Order: RelevanceNewestRating - High to LowRating - Low to High Replace the worn-out roller on your boat trailer with this heavy-duty rubber one. This keel roller functions as a direct replacement for rollers that fit standard 8" wide brackets with a 5/8" diameter shaft. There are some common size rollers found on boat trailers but really they can be just about any size. Roller # YR8000 has an overall length of 7-3/4 inches so it would fit in the 7-7/8 inch spacing. It fits on a 5/8 inch diameter shaft # CE10725A. Roller # YR12000 is actually 11-3/4 inches long and so it would fit the 11-7/8 spacing of your brackets. It also fits a 5/8 inch diameter shaft # CE10727A. I have linked video reviews of both rollers for you. That's going to depend on the trailer setup. I attached a picture that shows them mounted on the side of the trailer closest to the coupler but if your trailer setup needs it on the other side that would work as well. You would need to replace the bracket with part # CE10303G and then go to an 8 inch roller like part # YR8000. I spoke with my contact at Yates on the Yates 8-Inch Keel Roller, part # YR8000, and he said the load capacity on the roller is 400 lbs. The keel rollers on a boat trailer are for positioning the boat on the trailer and do not have to carry much, if any weight of the boat. I am including a link to a video review on the Yates keel roller.